We strive to maintain not only knowledgeable staff at Smiles Plus Dental Care, but compassionate staff who can help make your visit less stressful. We constantly hear praise from our patients about how helpful, knowledgeable and courteous our staff is. 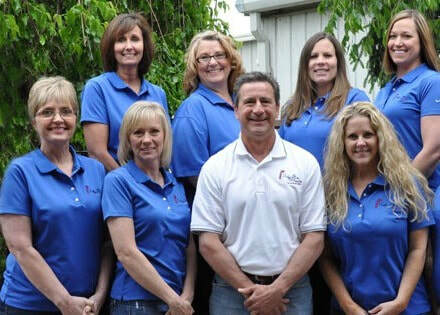 Our Dental Hygienists ~ over 47 total years combined experience! It is the job of our dental hygienist to help patients develop and maintain excellent oral care. We are fortunate to have highly trained and experienced dental hygienists with a total of over 47 years of combined experienced. Our Dental ﻿Assistants ﻿~ nearly 50 years experience! The primary ﻿concern ﻿of our dental assistants is patient care. Our dental assistants are responsible for preparing patients for treatment and also aiding the doctor. You'll find our assistants alongside the dental chairs as the dentist treats and examines patients. We are extremely proud to have such dedicated and experienced dental assistants working with Dr. Northcutt. 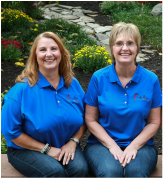 Our Front Office Management ~ over 50 combined years experience! The main goal of our front office management staff is to provide helpful and friendly service to every patient. Each of our managers work hard to make sure that your trip to and experience at Smiles Plus Dental Care is timely, organized and scheduled around your busy calendar. Our managers make certain that you are aware of upcoming appointments and schedule new appointments. They work with dental benefit companies making every effort to maximize your dental benefits. If you ever have questions regarding your dental work or your appointments, our front office mangers will field your calls and answer and address any questions or concerns you may have. Our front office management staff is second to none! They are friendly, courteous and greet each patient by name. All of our Smiles Plus Dental Care staff is well trained and CPR certified.